SOS Sahel Ethiopia is an experienced local organisation, working towards a better future for smallholder farmers and pastoralists across the country. See sossahelethiopia.org for more information. Despite seeing significant economic gains and improvement in services in recent years, Ethiopians still face substantial challenges. The majority of the population (of approximately 100 million and growing) live in rural areas and rely on farming and livestock rearing for their income and survival. However, faced with recurrent droughts and floods that are being worsened by climate change, as well as disease, environmental degradation and population pressure, rural populations are struggling to continue with their traditional ways of life and are increasingly vulnerable to hunger and poverty. SOS Sahel Ethiopia has over 25 years of experience working with communities in Ethiopia to reduce inequality, strengthen livelihoods of smallholder farmers and pastoralists, and enhance the sustainability of the fragile environments on which the communities depend. Once a country programme of SOS Sahel International UK, SOS Sahel Ethiopia is now a successful independent NGO in its own right, with an impressive track record in environmental conservation and management, livelihood security, disaster risk management and market linkages. SOS Sahel Ethiopia employs qualified and experienced local staff and has good working relationships with government and community institutions to ensure the smooth running of invaluable projects across the country. SOS Sahel Ethiopia is working in Southern Ethiopia on the Resilient Economy and Livelihoods (REAL) project. 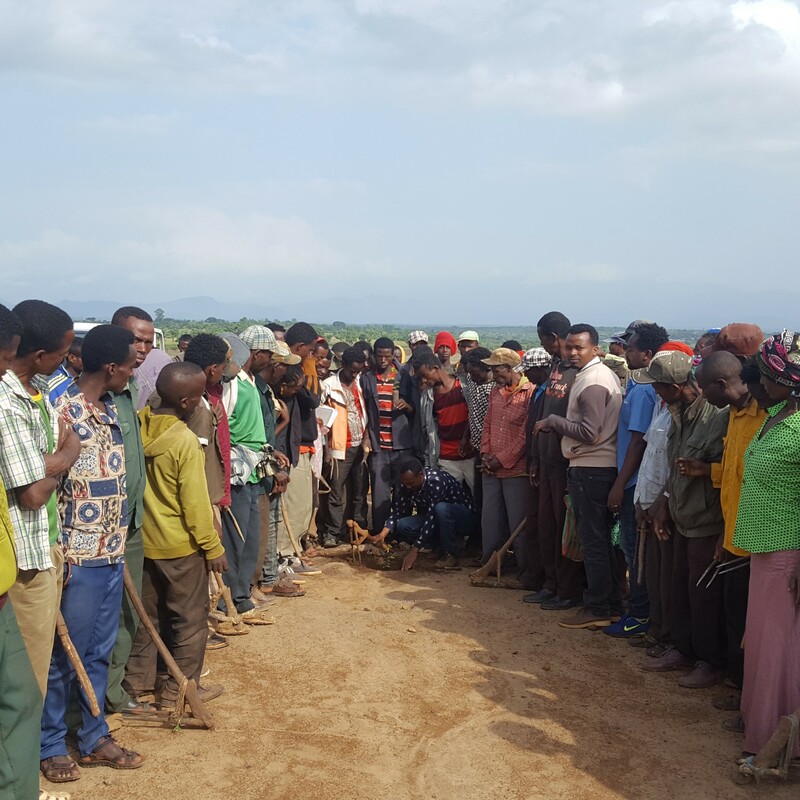 The project targets 40 kebeles (villages) located in four woredas (districts) in Southern Ethiopia where food security, irregular migration and youth unemployment are critical problems. These districts are also badly affected by climate change; recurrent drought is intensifying the food crisis and hunger and resulting in irregular migration as an alternative coping mechanism. The REAL project is working in this context to address root causes of displacement and irregular migration through creation of economic opportunities and strengthening the resilience of the most vulnerable communities. SOS Sahel Ethiopia is one of five partners undertaking the project, and its role in the consortium is primarily to undertake sustainable natural resource management, crop productivity and livelihood diversification activities. In the projects first year, SOS Sahel Ethiopia has supported communities to build soil and water conservation structures, provided training on improved production practices and techniques, and supported women and youth to engage in silk production and fish farming. 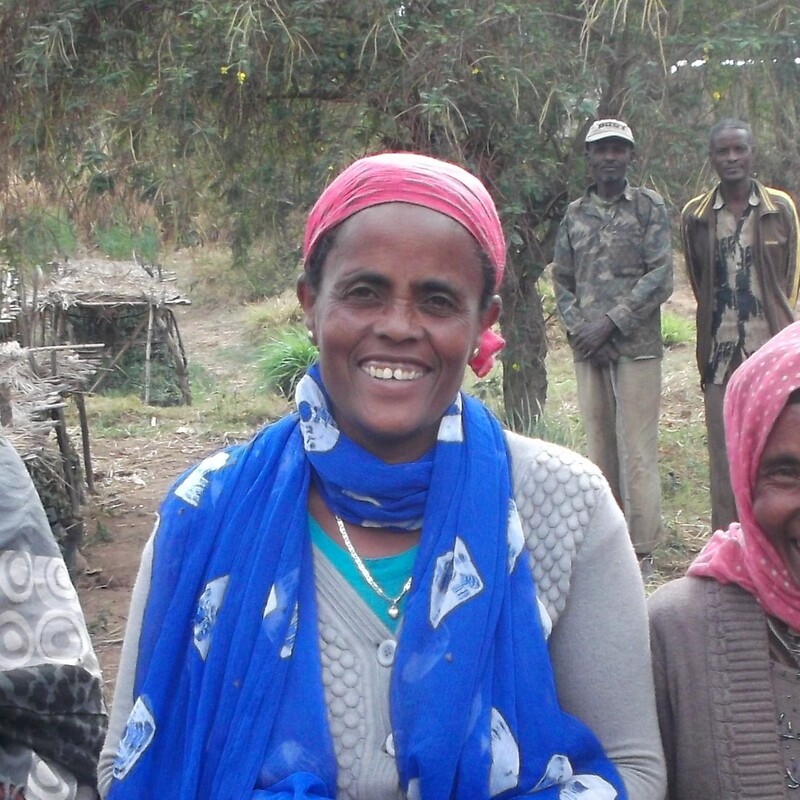 SOS Sahel have been working closely with communities in four districts surrounding Lake Boyo in Southern Ethiopia. Lake Boyo catchment suffers from extreme land degradation, caused in part by over population and increased levels of farming and grazing, along with climatic changes caused by global warming. The large scale deforestation and soil erosion in the catchment has caused significant increases of flooding around Lake Boyo, with a rapid expansion of water over the last 30 years. The expansion of the lake has severely affected crops, grazing lands, settlements and properties, leaving much of the population increasingly vulnerable to poverty and food insecurity. This programme aimed to address these issues through increasing agricultural productivity and household incomes, while reversing processes of ecological degradation. SOS Sahel empowered local communities to lead the physical and biological conservation of private and communal land, introduced new agricultural technologies to community members through training and subsidies, and supported income-generating activities specifically for poor women and other vulnerable groups. 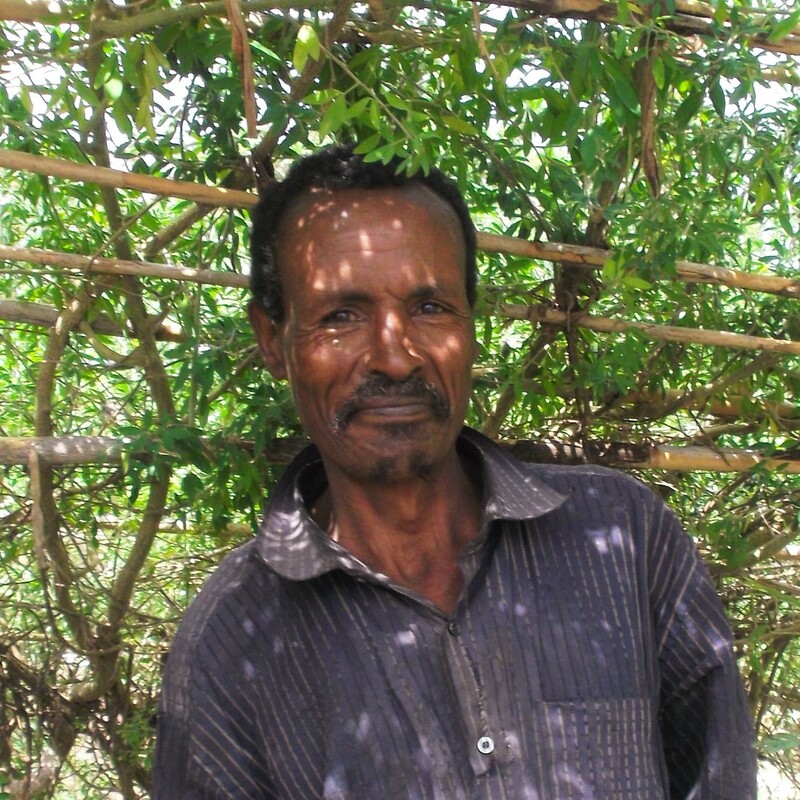 Bekele Deda is a farmer in Angacha district, Southern Ethiopia. Abobetch Isla is the leader of a central nursery in Anlemo district, Southern Ethiopia. SOS Sahel Ethiopia’s achievements in the Resilient Economies and Livelihoods Project.